Charitable purpose: Whale Beach Surf Life Saving Club (SLSC) exists to save lives, create great Australians and build a better community at Whale Beach. Whale Beach SLSC held their AGM on Sunday August 13th, 2017. Rob Berry reports there were good comments on successful season in terms of 10% growth in members (60 new members), while members achievements were recognised through members patrolling an average of 33 hours, performing 198 preventative actions and 38 rescues. The high standard of skill on the sand and in the water is ever improving and Whaley members and officials plan to raise the bar further every season. The club won the Branch Rescue-of-the-Year (Patrol 9 Naughtycool Nines; Barney Allen, Angus Bownes – Vice Captain, Iain Bownes, Oliver Bownes – Patrol Captain, Jack Bregenhoj, Dylan Gay, Adam Humphrey – Vice Captain, Angus Kellaway, Richard Leonard, Harrison Muller, Oscar Press, Luke Parks and Sophie Rothery). A highlight for the club has been the outstanding example Lara Boyle has set for all their younger members, happily engaging and encouraging everyone to do their best and enjoy being on the beach while herself undertaking extra training on the jet skis, representing Whaley at the 2017 SLSA National Leadership College and representing Australia recently during the Japan Lifesaving Exchange. Her dedication and passion for looking out for others, and keeping yourself fit while enjoying the beach, has been recognised in being awarded the Branch Lifesaver of the Year award and more recently the Surf Life saving NSW Lifesaver-of-Year Award. The club also thinks of winning the Branch Female Reserve Boat Crew award as a fitting tribute to Bernard ‘Midget’ Farrelly, a WBSLSC Member since 2006 who was their Boat Captain until assign away last year. Midget had also held a position as Competition Secretary at the club. 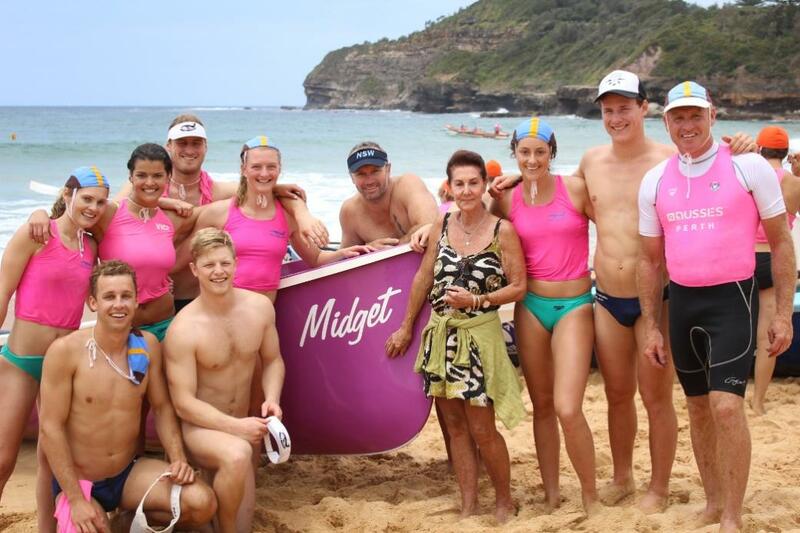 The club also ran the Midget Farrelly Memorial Surf Comp on January 28th which was a huge success. Life Membership was granted to Jon Pratten at this year’s AGM. Jon is a long-time patrol member, responsible for Project Managing the club’s major renovation and Treasurer for past three years. The club thanks patrons The Hon. Rob Stokes, MP for Pittwater, and Federal Member for Mackellar, Jason Falinski and Kylie Ferguson as well as Doug Menzies, Branch President for their attendance at last Sunday’s AGM. The Club's biggest asset is its people, and it is very rewarding rubbing shoulders with members from generations other than my own. I enjoy the wisdom and experience of a dozen surrogate grandparents and offset this with the youthful energy and enthusiasm of dozens of surrogate younger cousins. It really is a big warm family here, with all of us sharing a passion for Whale Beach. I miss Midget; I think he was one of the greatest role models we had in the Club and epitomised spanning the generation gap. He enjoyed the ear of a cross section of our membership, nurturing his boat crews of young adults, wittering away with the 7am swimmers over coffee and stirring up the Management Committee with his provocative opinions. He was a salty rooster, a gentleman, a mentor and a comedian, and he kept us all honest. When I grow up, I want to be like Midget. My challenge is to span the age divide between the generations of the Club. It is rewarding to sit around a table once a month for civilised discussions with a diverse bunch of passionate leaders of the Club. I enjoy seeing our members from their eclectic walks of life mixing amicably under the tent, on the BBQ deck or at Sunday Events. Despite our differences, we have so much to share with each other. The fundamentals of our Club are strong: we have a highly engaged and growing membership, the building and facilities are in excellent order, financially we have a diversified income and a respectable bank balance, and there is an amazing pool of talent leading this Club. The 2016 / 17 season was about continuity as we transitioned leadership with both a new President and a new Club Captain settling into their roles. The goal was to maintain the high standard of the prior season. There were three key areas that needed to be maintained: a safe environment at Whale Beach, a vibrant social calendar, and a healthy club culture. By all accounts, we can look back and say that we successfully achieved on all of those. How do we know we're doing a good job of running the Club and continuing its great legacy? Beach Operations: No lives lost! 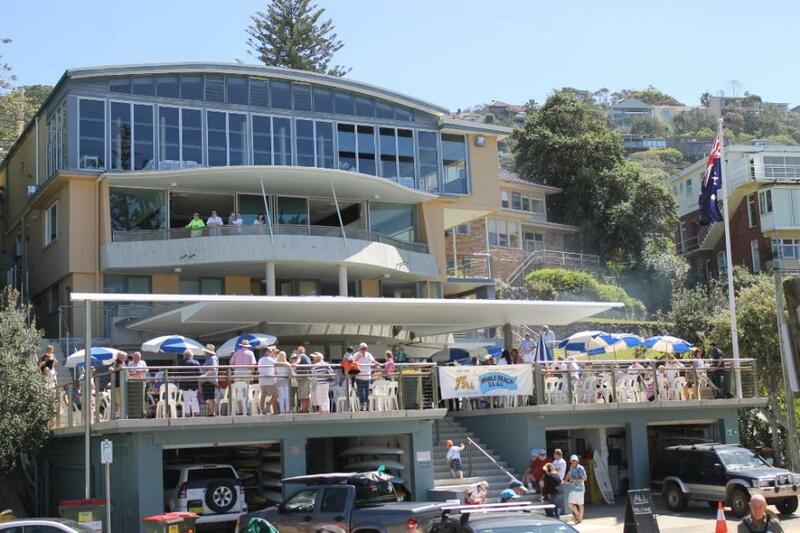 Competition and Surf Boats: Inaugural Midget Farrelly surf competition, continuity of surf boat crews, Sunday Events and Club Championships, presence at Branch, State and National titles. Education: 94 individuals attained 128 new awards. Gear and Equipment: A boat shed full of modern equipment, lovingly maintained by dedicated volunteers. Events were executed beautifully: Women of Whale, The Big Swim, Pig Night, Awards Night, Monthly Drinks, Rippers. Marketing: New website launch, email campaigns, increased Instagram presence. Administration: No lives lost either! All car park stickers and key fobs accounted for. Finance: Thanks to our treasured Treasurer Jon Pratten, who provides superb stewardship of our finances. Property: Extensive repairs and upgrades to facilities and amenities. We have the best club house in Australia. Now that the season has closed, we review and position ourselves for the 2017 / 2018 season. The Club needs to be absolutely clear on its identity, and to that end there is a review of the Club logo and colours underway in order to successfully manage our brand. This work will lay foundations as we grow our profile. It is important to ensure that the structure of committees and officers aligns with the work that needs to be done in order to run our Club, and this is being reviewed by the Management Committee. Once the structure is ratified, there will be active recruitment to fill roles to ensure that the workload can be spread evenly. Next season there will be a focus on beach operations. A "How to patrol at Whale Beach" manual is being produced that will help us all to consistently run patrols and make use of gear and equipment. Leveraging technology will help us run the Club, we have an incredible new website, and we will utilise the "Swapsea" system to better manage our patrols and implement the cloud solution "G Suite" to facilitate collaboration. When the foundations of having a clear identity, a smoothly operating beach and a strong management team have been laid, the Club will embark on a growth phase. This will allow us to adequately patrol the beach, hold a significant presence in the community, contribute materially to our income, and provide a large pool of talent to draw upon in order to successfully run the Club. We are fortunate to not only enjoy the benefits of owning our land and building, but also the rewards of the recent renovation. An ocean front presence and heavy use by 400 members provides many challenges with maintenance as well as upgrading amenities to meet the needs of the membership. You will have noticed improvements and repairs taking place about the premises throughout the season. Over the winter, the first aid room will be upgraded and work started on renovating the boatsheds. Club Administrator Monica Kim has resigned at the end of May. I would like to sincerely thank her for 5 years of diligence and dedication in ensuring that the Club operates smoothly. We welcome long-time member Sue Kearney into the Club Administrator role and very much look forward to working with her. The Club has just been honoured with accolades at the Sydney Northern Beaches Branch Awards of Excellence; a huge congratulations to Lara Boyle for Lifesaver of the Year, Patrol 9 for Rescue of the Year, and the "Flying Fish" for winning Female Reserve boat crew. Thank you also to all our volunteers, members, officers, community and friends, patrons, Pymble Ladies College, Knox Grammar School, Sydney Northern Beaches Branch, Surf Life Saving NSW, Surf Life Saving Australia, local, state and federal government, and our generous sponsors and donors. All these groups contribute to making Whale Beach SLSC the amazing volunteer organisation that we all know and love. As weather fronts battered the coast and reshaped the beach with more "beach closed" days than we could poke a tube at, our Whale Beach team banded together in our red and yellow, keeping the public safe for another season. With some new faces in our patrol leadership teams, we began the 2016 / 2017 season with resounding camaraderie as more than 70 Whale Beach lifesavers took to the beach for our first ever all-in patrol - knocking over proficiencies in one fell swoop with the help of our incredible education team. Refreshing our skills and reigniting friendships on the first weekend set us up well for what was an intense start to the season, with numerous preventions, first aids, and rescues. On 26 November the quick actions of Patrol 9 - the Naughtycool Nines- performing a mass rescue in large seas, resulted in them being awarded the Northern Beaches November Rescue of the Month. Our patrollers were dedicated to improving their skills on and off the beach with an increase in mock rescues and resuscitation simulations. We were provided with fantastic opportunities to further develop our soft skills to interact with the public and fellow members through the Milan Partners communications and mentoring courses. The Big Swim 2017 was a great success, and I thank each and every member who helped on the day to keep things running smoothly; with a number of mass rescues and tricky rips it was certainly a day to remember. As we move into next season having had growth in our membership base over the last few seasons, I'm looking forward to expanding our patrol teams, seeing more members move into leadership positions, greater Club-wide participation in non-lifesaving related activities, and continuing to foster growth in our younger members. Moving into the future, further developments in our physical resources are in the pipeline, with renovations to the first aid room and boatshed, an expanded digital radio network, induction packs for both patrols and officers, and new merchandise to take pride in our great Club. In addition, technological resources, such as our new Whale Beach SLSC website, online logbooks, and the emerging use of drones for lifesaving purposes, will allow us to focus on what we do best - ensuring that every person who comes to the beach goes home safely. Many thanks are due to every member for giving their time so generously to keep the public safe, with special thanks to our team of Patrol Captains and Vice Captains, our Education Team, Al Burchett, Andrew Pearce, and the many others who ensured that Whale Beach SLSC's 2016 / 2017 was one of our best seasons yet. Whale Beach SLSC's 2013 Inaugural Carols by Candlelight - A Soulful Delight! The BIG SWIM 2014 - report and pictorial includes a chat with Paul Hughes, winner of the first race, Paul Young, who was busy helping a few others get back to shore in the original race and Peter Taylor - all Whale Beach SLSC stalwarts, all life savers. 2015 NSW Surf Life Saving Opens Championships - Ocean Beach-Umina - Newport Seal The Deal At Open Champs! Aussies 2015: Avalon Beach SLSC's Antiques Women's Boat Crew Win Branch, States, National and Worlds in One Year - Palmy and Newport Champions are GOLD!